When searching for the right NY camp it is important to know what it is that you are looking for. Are you looking for NY camps that focus on a specific area of concentration or for a day camp that features a variety of activities? 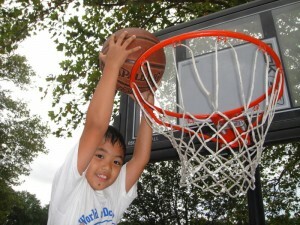 Some camps in NY focus on a particular sport such as soccer, baseball, lacrosse or basketball. Other speciality NY day camps focus on non-sports related subjects such as arts and crafts, dance, singing, drama or science. There are also day camps in NY that feature a variety of activities including sports, non-sports, swimming and field trips. Are you interested in NY summer day camps that offer an educational component? Is that something that your child is going to be on board with? Before searching for summer day camps in NY, it is a good idea to speak with your child and come to a decision together about what would be the best choice for the summer. There are many summer camps in NY to choose from, but to find the summer camp in NY that is best suited to your child takes preparation. Once you decide on the type of summer camp that you are interested in, the next step is to get a list of camps that provide that kind of program. Once you have narrowed your list of NY day camps down, it is time to compare and contrast so that you can find the best camp for your situation. Some important items to consider are level of supervision, transportation, schedule, acitivities and tuition. This entry was posted in Day Camps in New York, New York City Summer Day Camps, NY Summer Camp and tagged camps in ny, day camps in ny, ny camp, ny camps, ny day camps, ny summer day camps, summer camp in NY, summer camps in NY, summer day camps in ny. Bookmark the permalink.